NUCCA is an acronym for The National Upper Cervical Chiropractic Association. This organization is exclusively concerned with propagating the chiropractic practice of evaluating and treating subluxations of the atlas vertebra as a means of treating an exhaustive range of health problems. Upper cervical focus is a specialty within the general chiropractic profession. Applicants for certification must learn standardized diagnostic and treatment protocols, then demonstrate proficiency in order to become board certified. Upper cervical adjusting remains one of the most debated of all chiropractic practices, with many skeptics dismissing the entire concept as being nothing more than a ridiculous notion executed with smoke and mirrors. 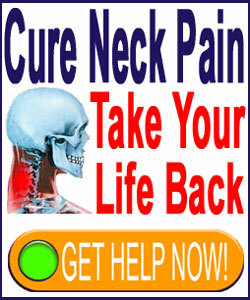 Ironically, many traditional chiropractors are among the most outspoken and harshest critics of the treatment regimen. However, upper cervical chiropractic is growing in popularity and more conditions are treated with the technique each and every day. This essay provides an overview of upper cervical spinal adjusting within the chiropractic profession. Technically, the term refers to the governing organization, The National Upper Cervical Chiropractic Association. However, many laymen use the term to refer to the actual practice of adjusting the upper cervical spine. For the purposes of this article, we embrace both accepted meanings. The National Upper Cervical Chiropractic Association was formed by Dr. Ralph Gregory in 1966. The organization traces its lineage to the research collaboration between Dr. Gregory and Dr. John Grostic in Michigan, in the early to mid 1940s. Currently, the organization is based in Minnesota and also includes a research division called The National Upper Cervical Chiropractic Research Association or NUCCRA. Although the interest in upper cervical spinal adjustments is more popular than ever before, there are still only a very small number of certified practitioners, who often focus on this specialty as the only chiropractic service offered. The main objective of upper cervical chiropractic is to treat a condition known as Atlas Subluxation Complex or ASC. This disorder occurs when the atlas is subluxated out of its ideal alignment with the axis and the occipital bone. When the atlas is out of optimal position, pressure is thought to be applied to the brainstem, potentially causing or contributing to a staggering variety of possible health effects that might influence virtually any and every bodily system. Upper cervical chiropractic is geared towards identifying patients who suffer from Atlas Subluxation Complex and correcting the vertebral alignment using specialized adjusting techniques. Some of the anatomical consequences thought to be possible results of upper cervical subluxations include: neck and back pain, muscular tightness, poor posture, allergies, neuromuscular diseases, limb pain, seizures, digestive problems, hypertension, organ dysfunction, sexual dysfunction, infertility, headaches, chronic fatigue, insomnia, depression, recurrent infections, autoimmune problems, cognitive development concerns, asthma, vertigo, diabetes, anatomical asymmetries and a host of many others. Certified upper cervical chiropractors utilize well defined methods of diagnosis and treatment to correct Atlas Subluxation Complex. They also use certain proprietary tools that are not utilized in any other healing art or science. 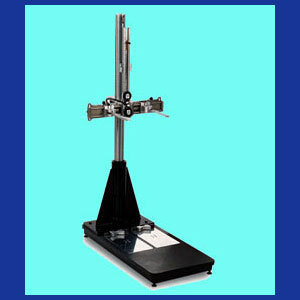 Diagnosis is achieved using various tests including checking leg lengths, utilizing para-spinal imaging devices that can detect muscular heat and electrical activity, using a specialized postural measuring device called an Anatometer, and most importantly, completing a series of x-rays that will image the misalignment of the atlas. Once the specific subluxation has been identified, evaluated and measured, then treatment can commence to resolve the atlas misalignment and restore spinal balance. After treatment, another set of x-rays is taken to confirm successful implementation of the atlas adjustment. Patients might be able to hold a single adjustment for a long time or they may require several or regular adjustments in order to maintain correct spinal alignment. Critics of upper cervical adjustments come from many backgrounds, including traditional medicine and chiropractic. Furthermore, the degree and specifics of criticism range greatly from source to source. Mild critique often points out that upper cervical specialists only perform one specific service; the diagnosis and treatment of atlas subluxations. Many other chiropractors view upper cervical adjusting as an incomplete offering, since it does not address many other traditional chiropractic goals throughout the remainder of the vertebral column and the within the body as a whole. Many of the more vocal critics argue that it is mostly an assumption to implicate atlas subluxations as being the source of the huge number of possible negative heath effects often attributed to this seemingly universal condition. These nay-sayers often question the quality and objectivity of the research that led the organization to link any or all of these health problems with atlas subluxation in the first place. Many medical doctors criticize upper cervical adjustments due to their insistence that the atlas cannot be permanently moved from its one and only resting location, since the contours of the bone surfaces will align in definitive ways and be further regulated by surrounding ligaments. Many of the theories, tools, diagnostic processes and treatment practices used by NUCCA practitioners have been called hoaxes, oversimplifications and even injurious. There is surely far more bad press concerning upper cervical adjustments than positive, objective essays. In fact, in our own research efforts, the only truly universally complimentary accounts of NUCCA that we could locate were written by certified providers, the organization itself or some related business entity. As always, we are not writing this commentary to judge the organization or the many fine health professionals who provide diagnostic and treatment services. Instead, we are simply providing a balanced accounting of the topic, as it exists in the current state of published research science. Patients must do their own research and decide for themselves if upper cervical chiropractic is right for their own needs or not. As far as editorial opinion, there are some things we really like about upper cervical spinal adjusting. We believe that most care providers seem motivated by the authentic desire to help people. We like the finite duration of treatment in most patient profiles. We also applaud the holistic nature of the treatment and its recognition of the body’s innate ability to heal itself without drugs or surgery. However, we do not like the sweeping claims that upper cervical adjustments seem to be a universal cure for virtually all of life’s ills. After all, if the treatment was truly that effective, it would be the most widely-used therapy worldwide and not some obscure chiropractic focus that many exponents claim is being held back by political aspirations and jealous rivalries. This kind of publicity is unfounded, yet we discovered literally dozens of articles written about how NUCCA is being purposefully ignored for the least logical reasons possible. Most of these essays went into great detail about the great conspiracy to silence upper cervical chiropractic advocates, instead of extolling the virtues of the system and its ability to heal naturally. We found it all to be a bit off-putting. What are your thoughts on upper cervical chiropractic? If you have first-hand experience, it would certainly help fellow patients to determine if NUCCA might be a good fit for treating their own health issues. We would love to hear your stories on our social media pages.